Technology and construction don’t always feel like they go hand-in-hand. One of the many changes that you may not know about is the use of 3D imaging and printing in construction. Some have even called this a revolutionary development that will change the face of the design build process. This is a fascinating push forward, and could very well change the way that you see construction for the future. The impressive thing about this is that it’s far less expensive than you may think. 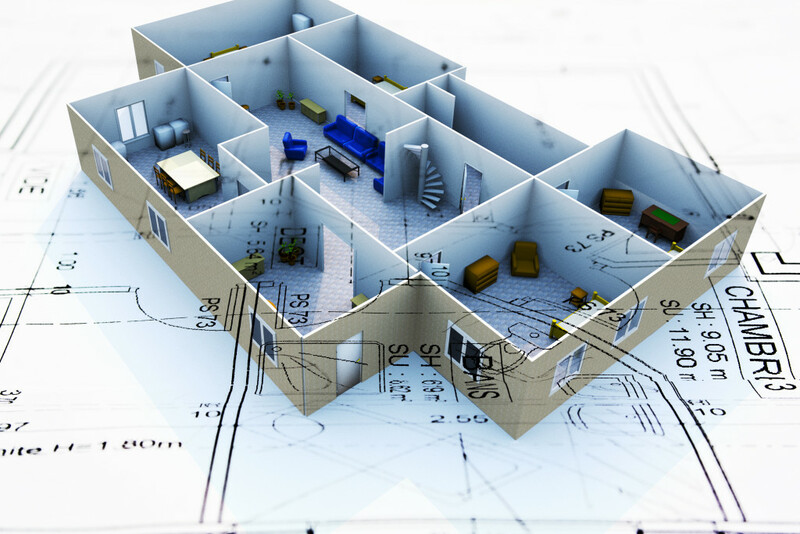 3D Design and Imaging: We use computers to aid in the design of the homes we build and the rooms we remodel. They offer us the ability to print a picture perfect image of the final project so you can better see what your home will look like or what your new kitchen will look like before construction begins. These images are designed to allow you to make changes to the overall appearance of the home or room before we even draw up the blueprints. This ensures that we are all on the same page and we know what to expect. A Full House Built: The ability to print the home in full detail is a pretty impressive idea when you consider the cost of custom home building. The way 3D printing is used, it allows builders to print individual pieces one by one and build a miniature model of the home. Once the pieces are put together, they have the structural strength that will be present in the full size home. Saving the Planet: 3D printing offers an efficient process for construction. The construction process allows for less waste overall. The reduction of waste is just part of the overall premise. Faster production rates, less wasted raw materials, and efficiency creates a much “greener” building process. Time Will Tell: All of this sounds fascinating, especially when it comes to cost and efficiency. However, it’s not here on a viable level just yet because 3D printers are relatively new and the materials used can get quite expensive for the average homeowner. One thing is for sure, though, it’s fascinating and definitely worth keeping an eye on for the future. A 3D image of the completed remodeling or building project is priceless. It provides a way for you to compare the before (existing) and after before any work has been done. It allows you to make changes that affect the functionality and the appearance of the project before we even move past the design phase. Take a look at our design build process in more detail. Tri-Lite Builders is located in Phoenix and we provide personalized design, building, and remodeling services to greater Phoenix area homeowners. We enjoy the looks on homeowners’ faces when we reveal the completed project and we’ve met every challenge with grace and beauty. Give us a call at 480-895-3442 if you would like to schedule an appointment for a consultation for your upcoming custom home build or remodeling project.